We work with the Lynton Luminette Intense Pulsed Light system which operates according to Anderson and Parrishʼs principle of selective photothermolysis. 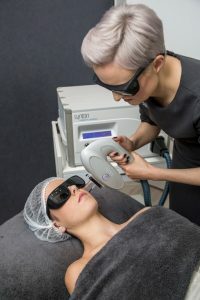 Photothermolysis is the break down of an intended target using wavelengths of light without damaging the surrounding tissue. 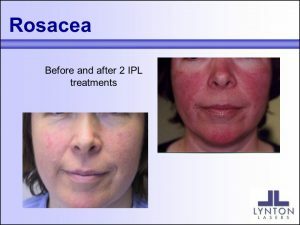 IPL has been around for many years, since the 90ʼs in fact, and was brought out as an alternative to lasers. It can be used to treat many things but in the clinic we mainly use them for veins and pigmentation. Price start from €40 and will be quoted in consultation.